Here's what I've been reading this week on my Readcation. I'm in the middle of Radioactive! : How Irene Curie and Lise Meitner Revolutionized Science and Changed the World by Winifred Conkling, which is my favorite of the books I have tackled this week. The Christopher Pike book on top is for an upcoming episode of The Worst Bestsellers, on which I will be appearing next month! And I also had a record-breaking week of walking. I walked 23 miles this week (!! 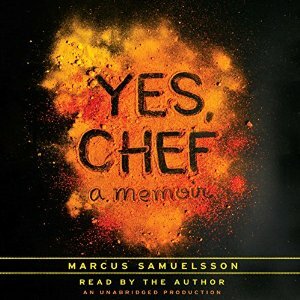 ), while listening to the excellent audiobook Yes, Chef by Marcus Samuelsson. I have been on a big chef memoir audiobook kick lately and I'm enjoying this one a lot.